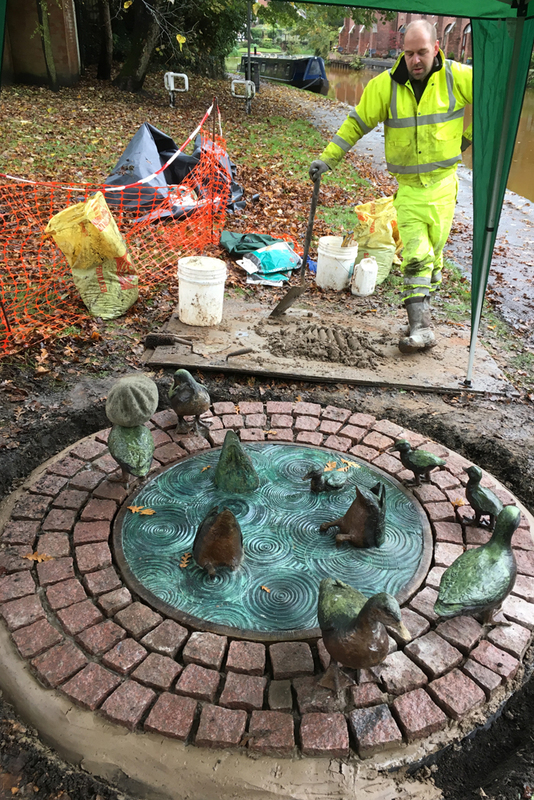 Commissioned by Salford City Council as part of a £3.6 million Heritage Lottery funded project, this bronze duck pond was unveiled to the public early 2018. 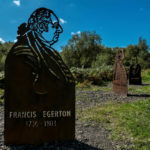 The purpose of this commission was to create an iconic piece that was very much inspired by the heritage of the Bridgewater Canal. 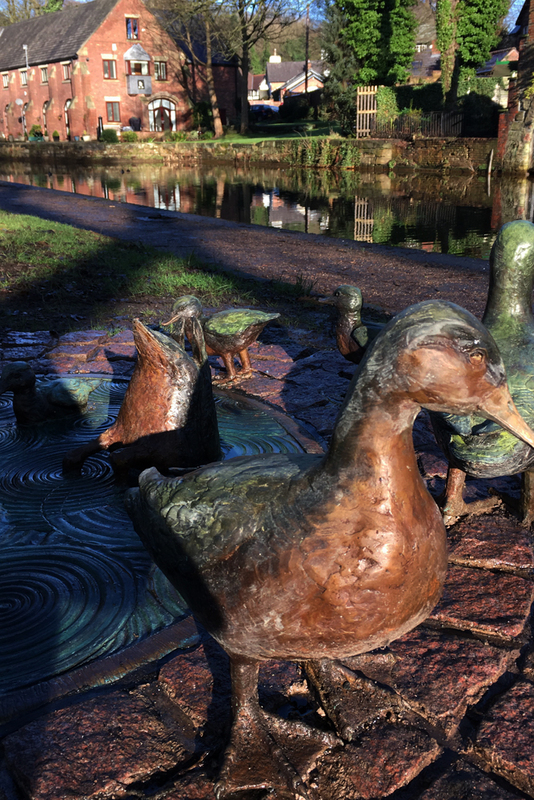 As the canal is very famously orange in colour (due to its industrial past where the iron oxide from the coal mines leached into the water), the ducks are known to have had orange bottoms. 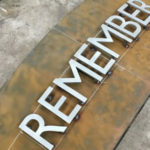 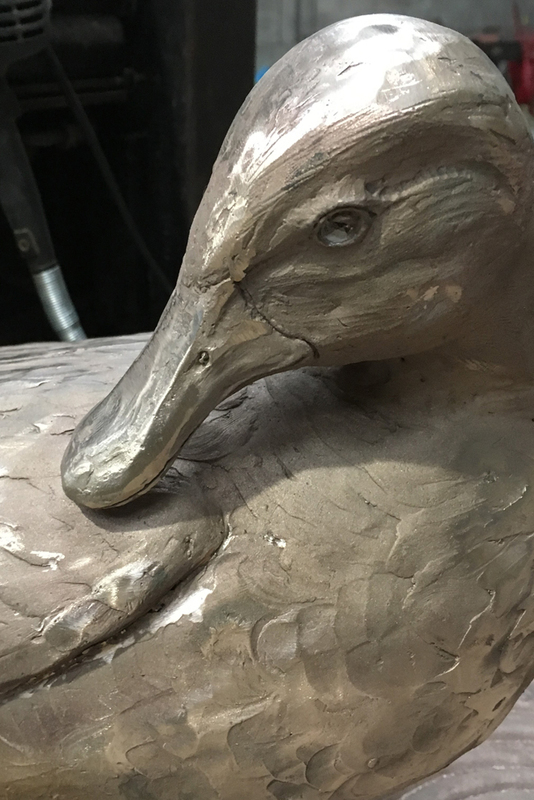 By using bronze as the material for the sculpture we were able to produce a patina that illustrates this perfectly. 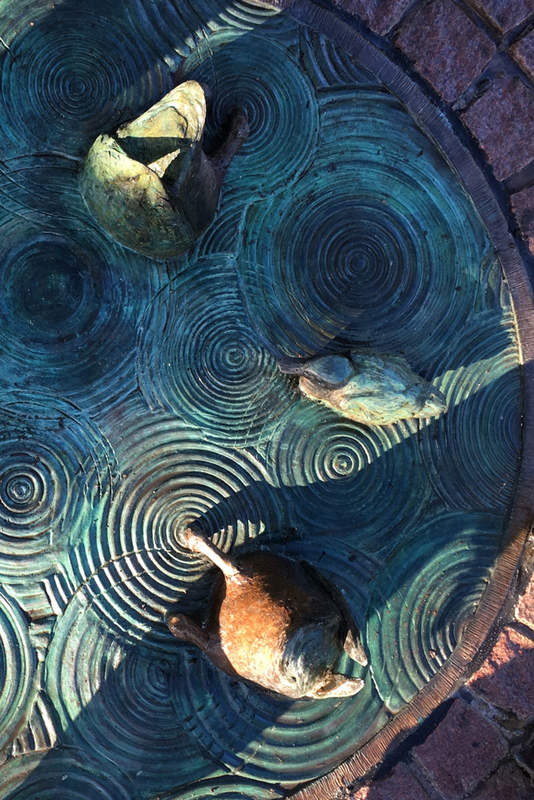 The pond itself is also bronze and we have included an edging of stone setts so the whole piece sits perfectly in the historic surroundings of Worsley.